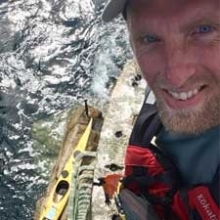 Chris Duff has travelled over 15,000 miles by sea kayak since 1983 when hepaddled 8,000 miles around the eastern third of the US and Canada. 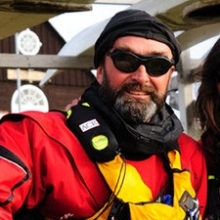 In 1986 he became the first person to solo circumnavigate England, Wales and Scotland. 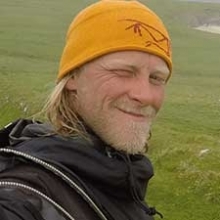 With the completion of the Irish expedition in 1996, he is the only person to have soloed the entire British Isles. 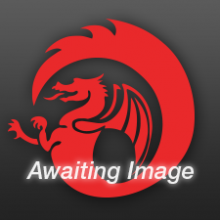 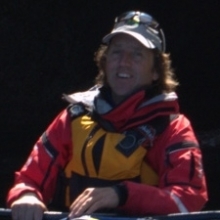 In 2000 Duff completed the second ever, 1700 mile solo paddle around New Zealand�s South Island.His book �Southern Exposure� will be published in March 2003. 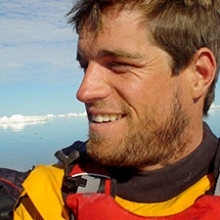 He is currently planning a team circumnavigation around Iceland in the summer of 2003. 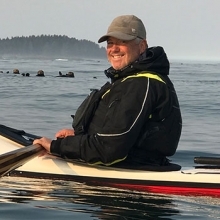 In addition to these trips he has paddled extensively throughout Washington State and British Columbia both as a sea kayaker and a whitewater river paddler. 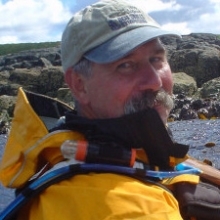 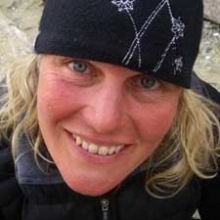 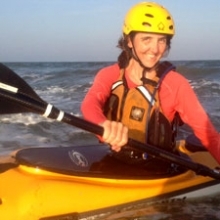 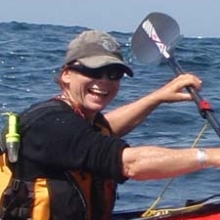 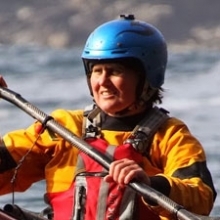 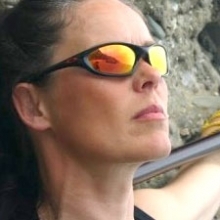 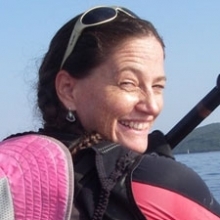 Duff has been a guest speaker at many national sea kayaking symposia- L.L.Bean Symposium (Maine 1987, 1999, 2000, 2001), West Coast Symposium(Washington 1997, 1998, 1999, 2000), the British Canoe Union skills 2000 symposium Peekskill NY, and the British Canoe Union skills symposium onOrcas Island in 2001, and The Great Lakes Symposium (Michigan 1997 and2001), the Anglesey Sea and Surf Centre symposium in Holyhead, Wales 2001.Other speaking engagements have included inspirational talks to school groups and civic organizations as well as more specialized talks to outdoor recreation and paddling clubs such as being the keynote speaker at Canoecopia 1999 in Madison Wisconsin and again in 2001. 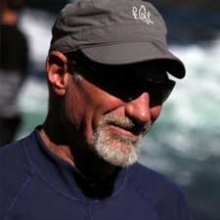 Sea Kayaker magazine (Spring 1987) published an article entitled The LuckyOne- about his first kayak trip around the US and Canada. 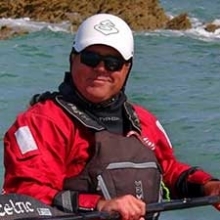 Chris was a contributing author to Seekers of the Horizon (Globe Pequot 1989), and hashad his article, An Emerald Isle To Starboard, published in Sea Kayakermagazine (June 1997). 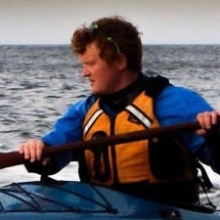 His first full length book, ON Celtic Tides- One Man'sJourney Around Ireland by Sea Kayak was published in August 1999 by St.Martin's Press (NY). 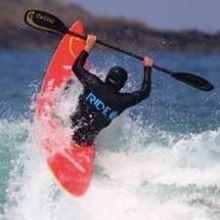 On Celtic Tides won the 2000 National Outdoor BookAward- Literary category. 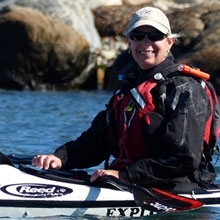 Duff has recently signed on with Werner Paddles, a Washington State basedleader in the paddling industry that has donated paddles for his past expeditions. 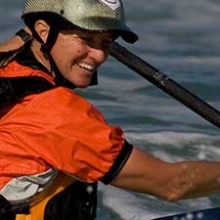 Werner Paddles was a major participant in Chris's successful solo circumnavigation of New Zealand's south island- winter of 1999-2000. 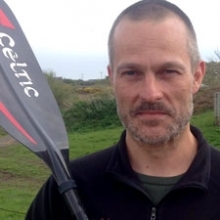 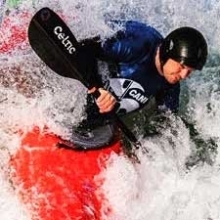 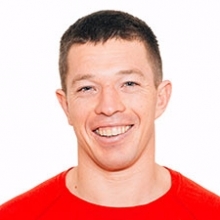 He is also sponsored by Sea Kayaking UK of Holyhead Wales who provides kayaks for his expeditions, Kokatat Watersports Wear, the premium manufacturer of paddling equipment and clothing, Cascade Designs camping equipment, and Snap Dragon paddling accessories. 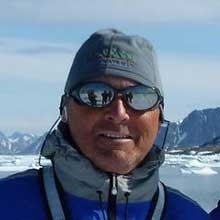 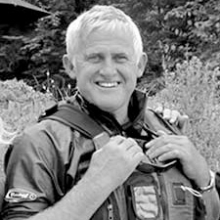 In addition to the exposure of being associated with his various sponsors,Duff has also been featured in newspaper articles, radio talk shows and,while on his various expeditions, television coverage. 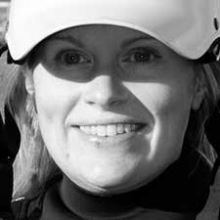 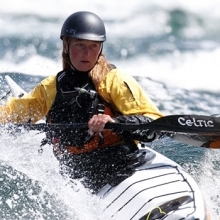 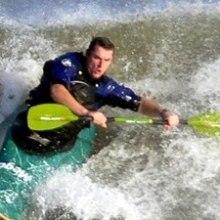 Duff is ranked has a five star proficiency paddler in the British Canoe Union and holds a Coach Level Four (sea)rating. 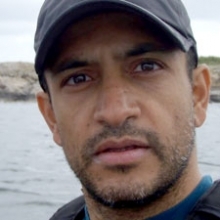 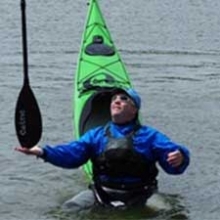 He teaches sea kayaking and continues to be a well known and sought after public speaker for many national and international sea kayaking symposiums.